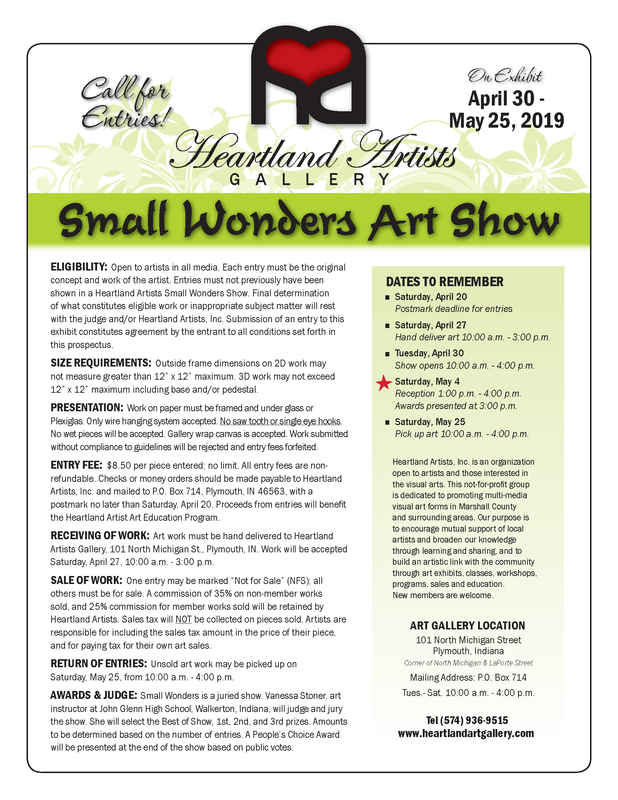 The Heartland Artists Gallery will be displaying work for the 2019 Small Wonders Juried Art Show from April 30 – May 25th. The public reception and awards will take place on Saturday, May 4th, 2019. Postmark deadline for entries is Saturday, April 20th. We look forward to this year’s entries!